Coreen Simpson is an African-American photographer and jewelry designer focused on African-American themes. She was formerly the editor of Unique New York magazine in the 1980s and her work has been collected by the Museum of Modern Art, the Bronx Museum of the Arts, and the Schomburg Center for Research in Black Culture. "You know, I worked as a documentary photographer for many years, but that was one of the first books I collected, and the introduction by Jack Kerouac. Composition is everything. Just composing the photograph, seeing it instantly, and being ready to document on the fly. You know, just being quick about documentation, which I'm sure Robert Frank was. You have to have the that camera ready. We didn't have the cell phones and all that back in the day, but I think the rhythms of recognizing an image, that's what the masters, the older masters knew. If you study the books, look at the books, then you will see what inspired them, and it might help you in building up your own style." 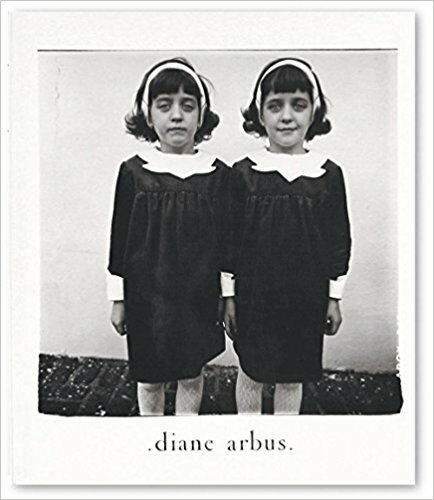 "I love Diane Arbus's work for so many years. I love, love, love her, so her book is well worn in my library, studied for a long time. My boyfriend at the time got it for me. I hadn't noticed this until I pulled it out of my library. He was a painter and sculptor and bought me this book on my birthday. And then I opened it, and he said, 'For my baby on her birthday. Love always, George.' So this was a gift to me. We've got to hold the book in our hands, and it's not like online. When you have a real book in your hands that you can flip the pages, you know, flip those pages through and absorb those photographs, we need ... Everybody should have a library, I think, and I've got a pretty damn good library of photography books. I didn't realize how much I had, and I'm still collecting, even today." "He did basically a lot of portraits, but he did a lot of documentary work, too. He photographed a lot of organizations, and his artistry, and also in the dark room, I liked. Van Der Zee did a lot of manipulated images, like especially dead people and stuff like that. He did theater portraits, and in this book, you see his artistry in the dark room, the double negatives, putting negatives together and making a whole new image."